Today I’m super excited to feature a recipe by Kitchen Friend Stacey Doyle, who also contributed this wonderful Pistachio Cardamom Amish Friendship Bread variation to the Recipe Box. 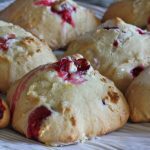 I love using 1 cup of Amish Friendship Bread starter to make scones, because you get a sweet and tangy hit plus a lovely rise. Stacey came up with this amazing recipe for Amish Friendship Bread drop scones using fresh blueberries, lemon zest and ricotta cheese. 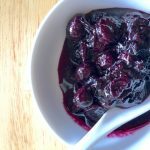 Stacey runs the food blog Little Figgy, which is all about creating great family meals with an unexpected or inspired ingredient. Please go visit her and say hello! 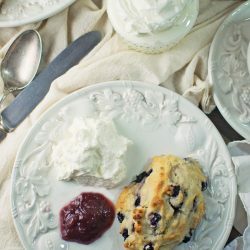 After living in the UK and Ireland for 12 years, my palate was graced with some of the best scones and biscuits anyone could ask for. 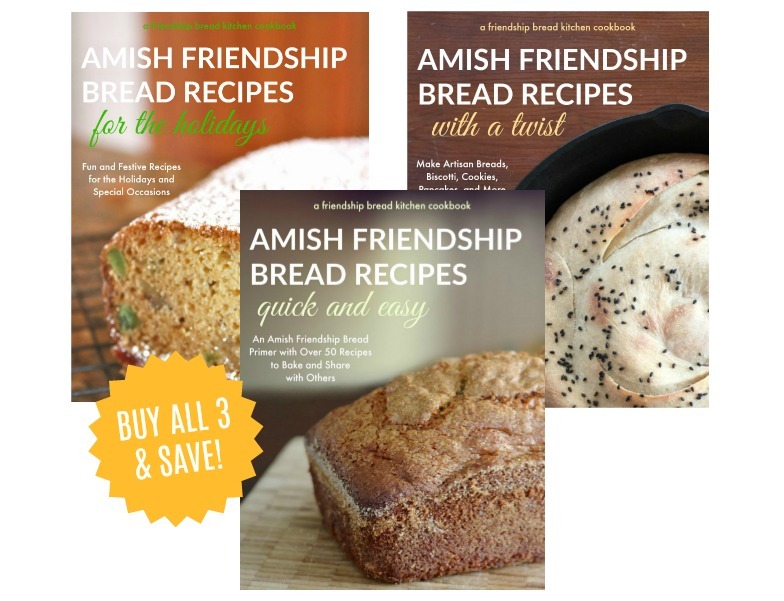 For the scones today, I’ve used an Amish Friendship Starter in place of buttermilk. 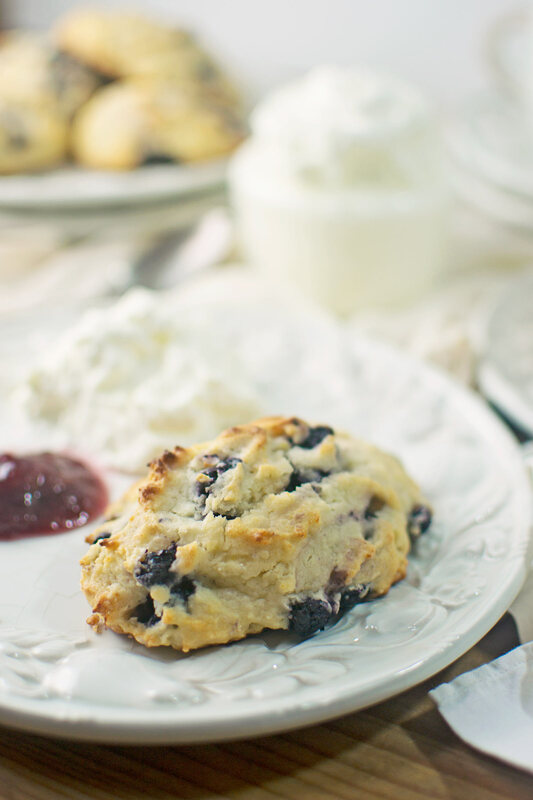 My other little kicker in this recipe would be the addition of ricotta, which gives the scones a delicate yet dense crumb. 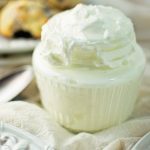 Stacey recommends trying this with a side of raspberry jam or dollop of clotted cream (and yes, she gave us a great recipe for that, too). 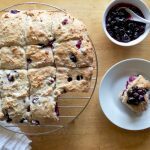 You'll love how fresh blueberries and lemon zest pair with ricotta cheese for the perfect crumb on these Blueberry Lemon Ricotta Amish Friendship Bread Scones. Preheat oven to 425° F (218° C). Line baking sheet with parchment paper. In a large bowl, whisk starter and eggs together until well incorporated. Add in the ricotta, butter, lemon juice, lemon zest and lemon extract (if using). Mix well. Whisk in sugar, baking powder, baking soda and salt until well blended. Slowly add 2 cups flour and continue to mix. 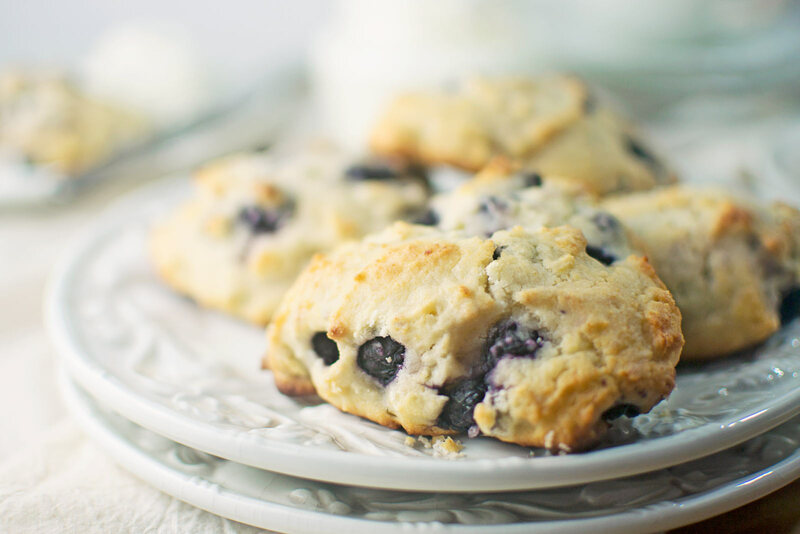 In a small bowl, toss the blueberries with ½ cup of the flour. Carefully fold in the flour-covered blueberries until just incorporated. Do not over mix or mash the blueberries. Drop approximately ½ cups of the sticky, wet dough onto the parchment-lined baking sheet 2-3 inches apart. Bake for 18-22 minutes or until just starting to turn golden. Remove from oven allow to cool 5-10 minutes before serving with your choice of clotted cream, preserves and/or creamy butter. I am excited to try this! I plan on making ricotta cheese this week. What a great way to use it! 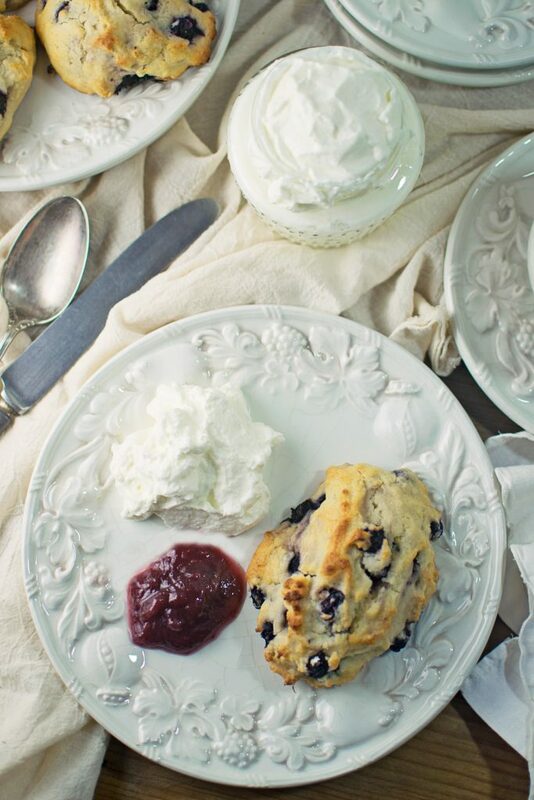 I am going to make these for my daughter and my sister as they both love blueberry and lemon and I love making scones!